The Study Abroad in China Program for UVM Students in Yunnan, China was established in 1999. It has been managed by the Chinese Program at the University of Vermont, the College of International Students of Yunnan University (and the Institute of Chinese and International Studies of Yunnan Normal University from 2002 to 2010). The program offers students courses on Chinese language and courses conducted in English on such subjects as Chinese culture and cross-communication strategies, Chinese minority nationalities, Chinese religion, Chinese philosophy, and Sino-American Business Relations. Any student who is serious about being proficient in communicating with Chinese people should not skip this opportunity to study abroad in China. Yunnan University is located in Kunming, which is known as Eternal Spring City in China because of its pleasantly mild climate all year round. Yunnan University now has 18 colleges and 8 research institutes, offering 80 undergraduate majors, 50 master degree programs, and 11 doctoral degree programs. The total enrollment of undergraduate students is about 13,000, and that of graduate students is about 12,000. The Study Aboard in China Program at Yunnan University is run by the Chinese Language Program at the University of Vermont and the College of International Students. The program offers students comprehensive Chinese language courses and courses conduced in English on other subjects , such as Chinese culture , Chinese minority nationalities, Sino-U.S. Business Relations. 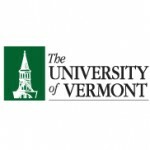 Students who have finished at least one year of Chinese language study at UVM may apply to study in this program for 2-13 months. Students may earn up to 10, 27, or 44 credits, depending on the duration of study in the program. While studying in the program, each student may choose to live with a Chinese family and will also have a Chinese student as his/her speaking partner.